The Vinyl Avengers are DJ’s Loadz & LadyJade – – > Anglo-American, vegan, vinyl-only Mod/Soul DJ’s, based in South Devon, UK. We do retro vinyl parties, playing a mix of Mod revival, Classic Motown, Stax Records, Atlantic soul, freakbeat, ska, 2-tone, new wave, 60’s garage punk, Hammond grooves, beat, northern soul . 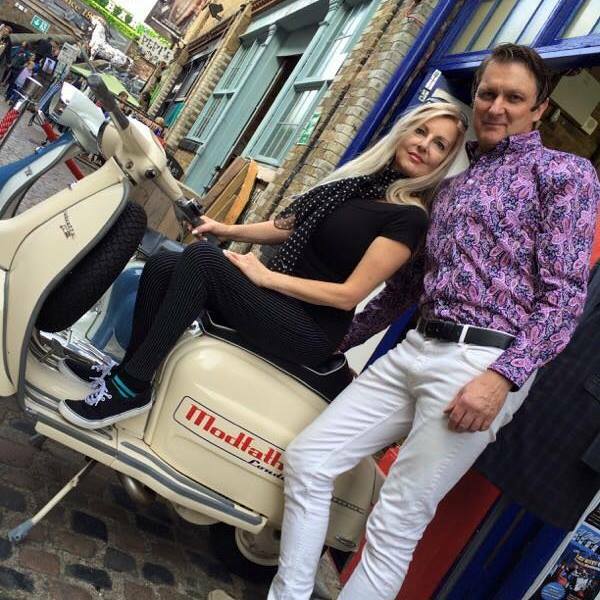 . .
DJ Loadz, still rides his vintage Lambretta! He built a name for himself as a long-standing Mod/RnB/Soul DJ in Devon in the 80’s/90’s. Lady Jade grew up in L.A., worked for the legendary Kim Fowley in Hollywood. Then DJ’d in Tokyo and London, sharing a stage with the James Taylor Quartet, Bruce Willis(!) and many other acts. Most memorable night was DJ’ing for Rod Stewart in Tokyo. We currently reside in Torquay and have been DJ’ing in South Devon as the VINYL AVENGERS since 2009. We have the honour of organising the annual Torbay March of the mods event, raising money for the Teenage Cancer Trust, now in it’s 4th year. In addition to our regular nights, we are available for selected private & charity events. We currently play in Devon, Cornwall, a few venues in the Midlands, South West and Greater London area, and have annual events in Madrid. Yeah, Yeah, Yeah, Yeah . . . . . This venue gets incredibly busy, so arrive early if you want a seat! This venue is always very popular. As always, get there early for a seat, as this venue gets very busy! Fri 1 June – The Lion’s Monocle, PAIGNTON (9-midnight) 56 Victoria St, Paignton TQ4 5DS 01803 445886 Food avbl + Vegan options. An intimate, but incredibly cool and quirky venue. This will be busy, so arrive early for a seat! Wed 20 June – Peaky Blinders PAIGNTON (7-11pm) Food avbl + VEGAN MENU. 107 Winner St. TQ3 3BP – 01803 411819 These Wednesday events always get a nice little crowd with a cool vibe. Castle Playing Fields, Chancery Lane, NN14 4JN Thrapston (9-11.30pm) £4 on the door. Always a great night . Jade and Ian put their heart and soul into all of their events , they play for the crowd , a great mix of tunes that keep everyone on the dance floor . Lovely genuine people who take time to chat to the crowd and join in on the dance floor . Great fun , fabulous music , love these guys ! 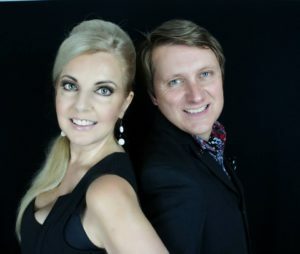 If you fancy an evening of listening to fantastic mod, soul and ska music and aren’t adverse to letting your dancing shoes do the talking, you’d not go far wrong seeking these two lovely people out, who you’ll discover absolutely adore hosting a great night out for you. Go on, do your ears a favour!